Alarm clock buzzing at 3 am… it can only mean one thing. No, I wasn’t awakening to catch an early flight to an exciting holiday destination. 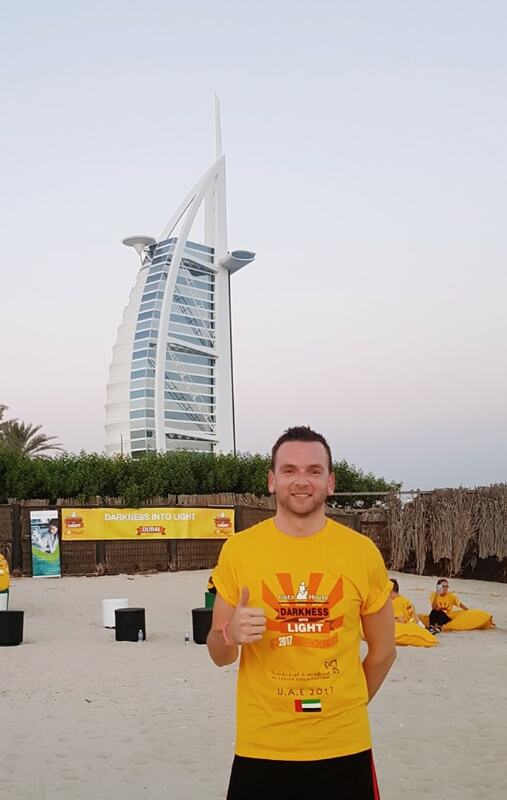 Instead, I was about to attend the Darkness into Light walk for mental health awareness in Dubai. This was the first time the walk had been arranged in the UAE. 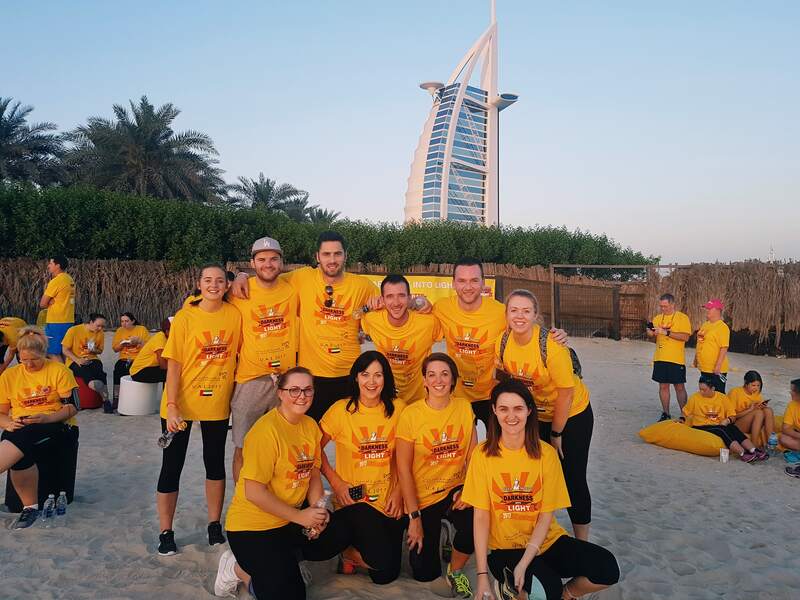 Walkers and runners would gather in Abu Dhabi and Dubai, along with joint walks in cities across the globe including Dublin, Toronto, Hong Kong, Copenhagen, and Sydney. What started as a small idea by a grieving family in Ireland had spread around the world. As early as it was, there was a reason for the meeting time of 3:45 am, for all those walking or running the course. As discussed during our welcome and briefing, the hour before dawn is the darkest hour of the night, followed by the morning sunrise. Typically, most people who experience mental health difficulties go through their darkest period immediately before they reach out for support. This was the meaning entrenched in the Darkness into Light walk. A walk that would begin in the darkest hour and end basked in the early sunlight of the day. It is also symbolic of the message that there is always light at the end of the tunnel if we open up to others and talk about our feelings. What an amazing experience it was. 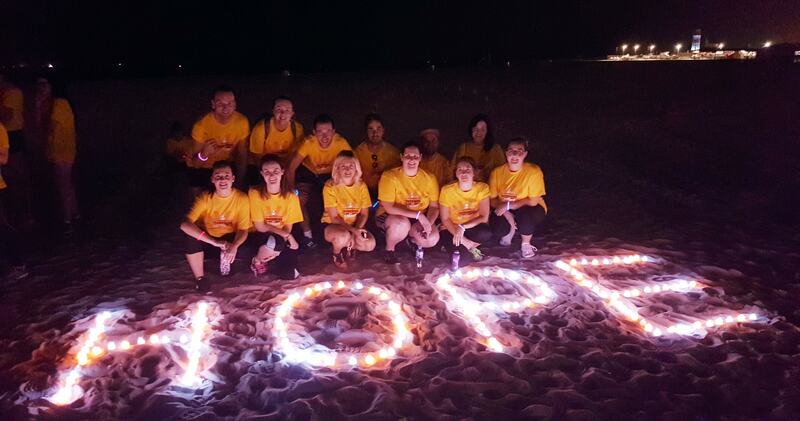 Walkers eagerly met at Kite Beach in Jumeirah for a 3:45 am start. People were collecting t-shirts, catching up with friends and colleagues, sharing yawns and the excessive need for a morning coffee, more so than most other mornings. We heard testimonials about the walk, how it originated, and stories from people who had experienced mental health difficulties or been sadly affected by them in the past. Some of us ran the 5km course and others walked. It was exhilarating to be part of the event, running along Kite Beach to the finish line at Sunset Beach as the early morning sun rose upon us. The area was peacefully quiet, and the sunrise created a beautiful morning glow on the water of the Arabian Gulf. As people passed the finish line, many remembered the cause of the event as they congratulated themselves and their friends for their accomplishments. People posed for photographs with the Burj Al Arab behind them, and we all headed off for well-deserved coffee and breakfast baps.